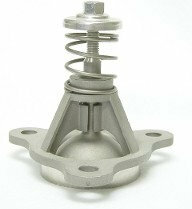 We are pleased to offer a selection of Graver type parts. Graver -Ecodyne Type 316 SS Spray Valve with 3 Hole pattern. 430 SS Graver -Ecodyne type Stamped 430 SS Trays.